One of the newest additions to the Walt Disney World Resort does not provide a thrill ride, restaurant, or even a high tech experience, but it does pay tribute to one of Disney's newest Princesses. 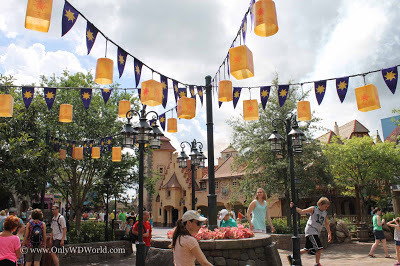 In the Fantasyland section of the Magic Kingdom, the area that has been the long abandoned station for the Skyway has now been transformed into a highly themed rest room and stroller parking area that reminds Disney World Guests of the world of Rapunzel. 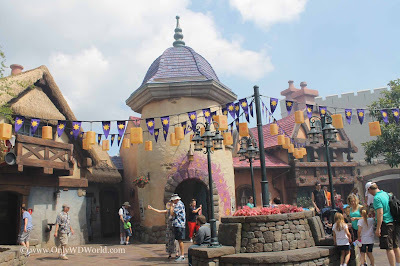 This area of Fantasyland that is located next to "it's a small world" and "Peter Pan's Flight" on your way to the "Columbia Harbour House" has now become a well themed area that certainly fits in the Disney Princess themed Fantasyland. This new village matches what you would know from the Disney movie "Tangled." 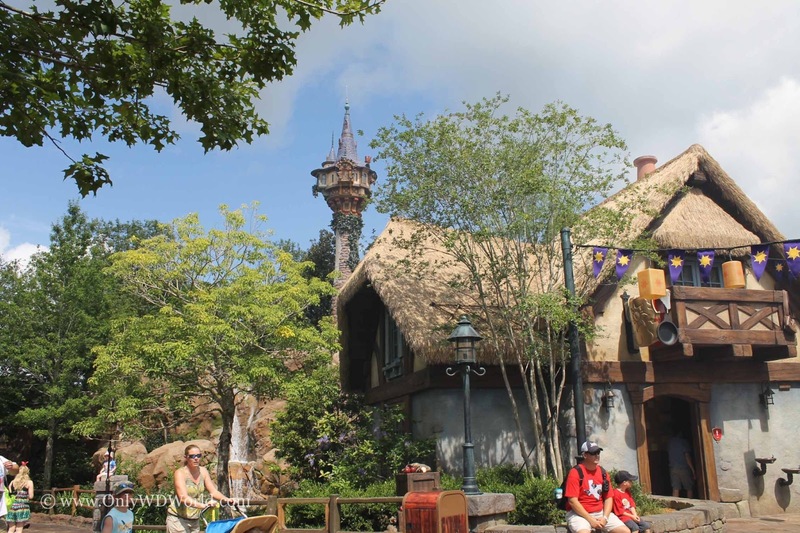 This area not only includes Restrooms, and stroller parking, but also includes benches and other areas for people to sit down and take a break during their enjoyment of Fantasyland at Disney World's Magic Kingdom. The area has been well designed and looks like it has been here since the beginning. 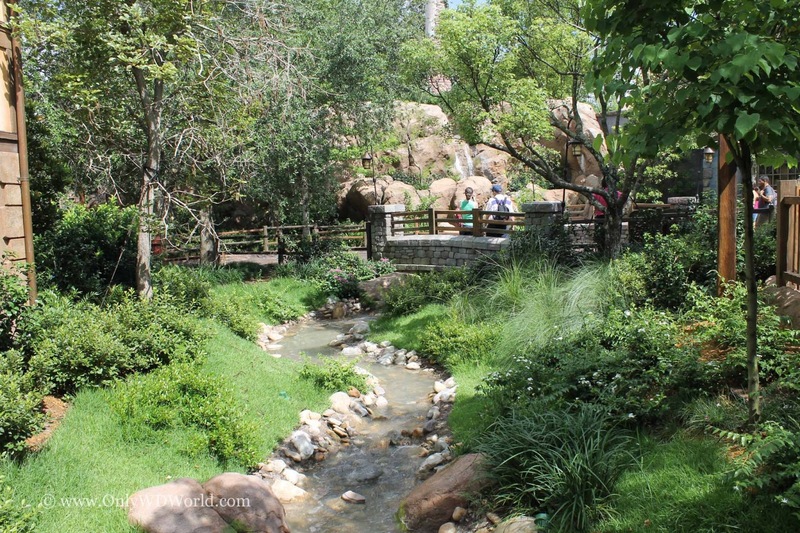 The Disney Imagineers should be proud that they have created an area that blends in so well with the buildings that have been there since the park opened over 40 years ago in 1971. 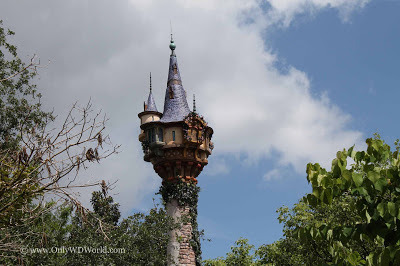 2 comments to "Disney World Addition To Fantasyland Pays Tribute To Rapunzel"
As we were approaching the "Tangled" castle, I warned my daughter that this wasn't a new ride. When we arrived she was in shock. Rapunzel's castle watches over the restrooms.